All over the world the glories of Sri Caitanya Mahaprabhu and Nityananda Prabhu are now being sung. 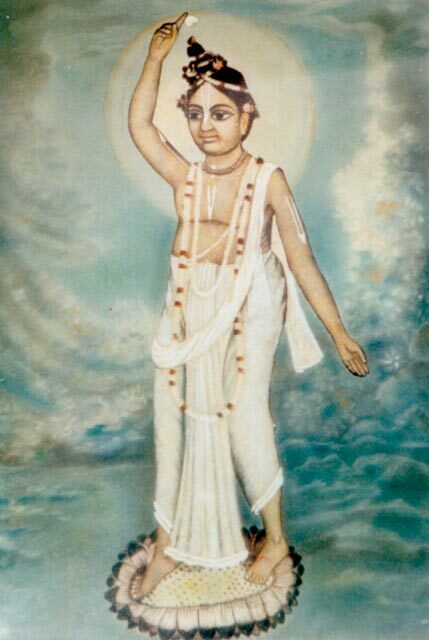 However, without Advaita Prabhu, who is also called Gaur Ana Thakur, He who brought Gaura to this world, there would be no Mahaprabhu, so this website provides the opportunity to dive into the world of the Advaita Parivara, the disciplic succession descending from Advaita Prabhu. Most particularly, this site is dedicated to Sadhu Baba Nikunja Gopal Gosvami, a 13th generation direct descendant of Sri Advaita Prabhu, providing audio, views and text about this unique mahatma. We hope you will enjoy this site. Jay Radhe.